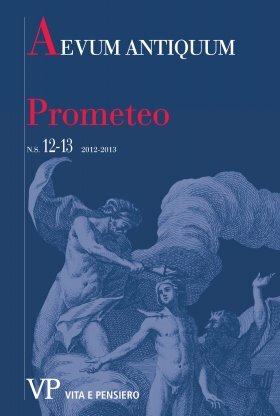 Observations about several Christological interpretations of Prometheus, especially from the beginning of the Romantic age to the first years of 20th Century. Among the authors taken into account are J.W. Goethe, P.B. Shelley, E. Quinet, E. Grenier, L. Ménard, M. Rapisardi, L.-V. Ackermann, F. Nietzsche, J. Péladan, I. Gilkin and S. Weil.